Oppo adds Dolby Vision to its UHD 4K Blu-ray players | What Hi-Fi? Oppo has announced a firmware update to bring Dolby Vision compatibility to its range of UHD 4K Blu-ray players. 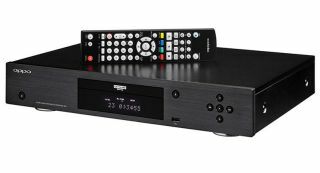 Both the UDP-203 and UDP-205 disc-spinners consequently become the first Blu-ray players to support Dolby Vision. Roland Vlaicu, VP of Dolby Laboratories Consumer Entertainment Group, called the move a "major milestone", while Oppo's CTO Jason Liao said the company was "thrilled" to be incorporating Dolby Vision into its players. We're big fans of the UDP-203 and hope to publish a review of the UDP-205 sooner rather than later.